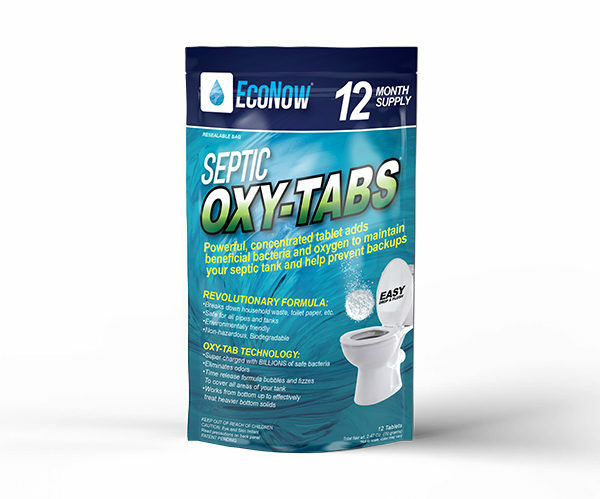 EcoNow Septic Oxy-Tabs utilize OXY-TAB technology which provides oxygen, buffers and billions of bacteria and enzymes that encourage the breakdown of household waste, solids, grease, and toilet paper. Using Septic Oxy-Tabs will help restore the balance of beneficial bacteria in the tank to help your septic system operate properly. Septic Oxy-Tabs are non-hazardous, naturally occurring, non-pathogenic and biodegradable.